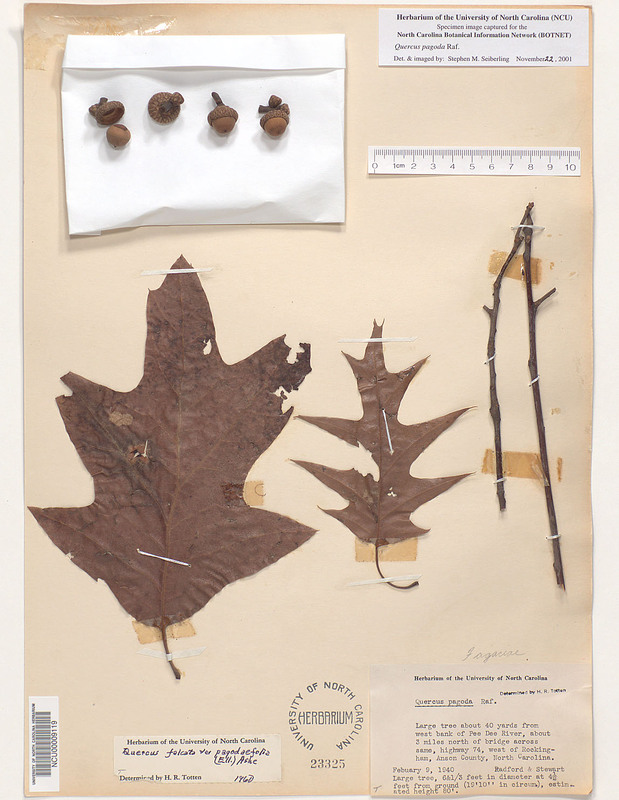 Common names: cherrybark oak, cherry-bark oak, swamp Spanish oak. 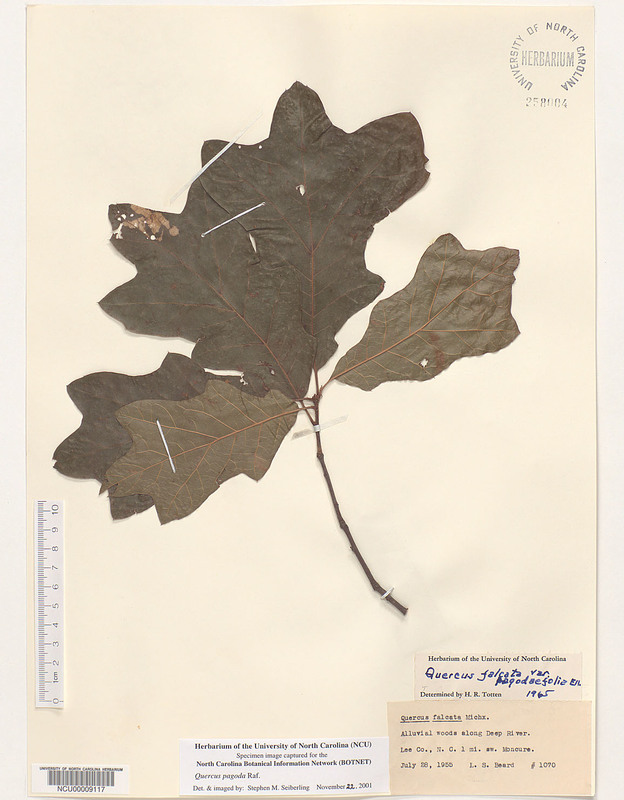 Synonyms: Quercus falcata A. Michaux var. 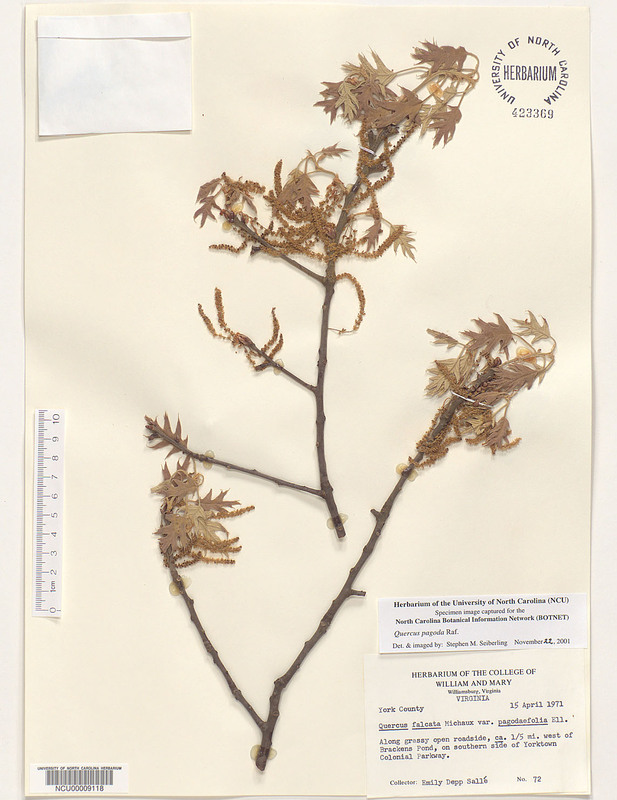 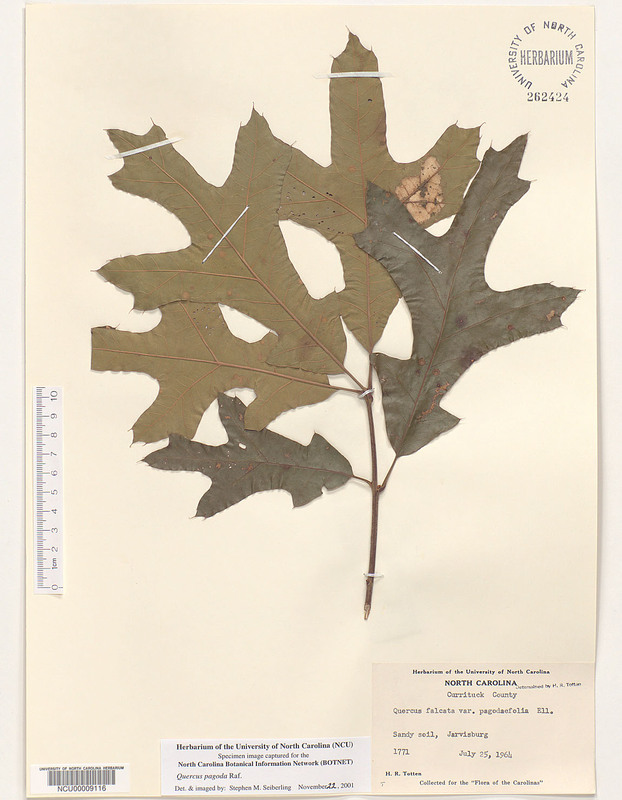 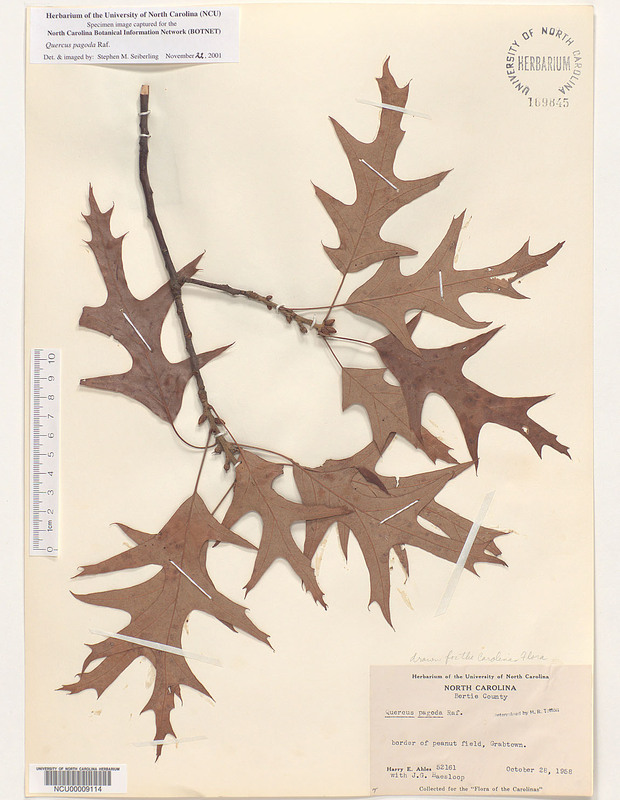 leucophylla (Ashe) Palmer & Steyermark, Quercus falcata A. Michaux var. 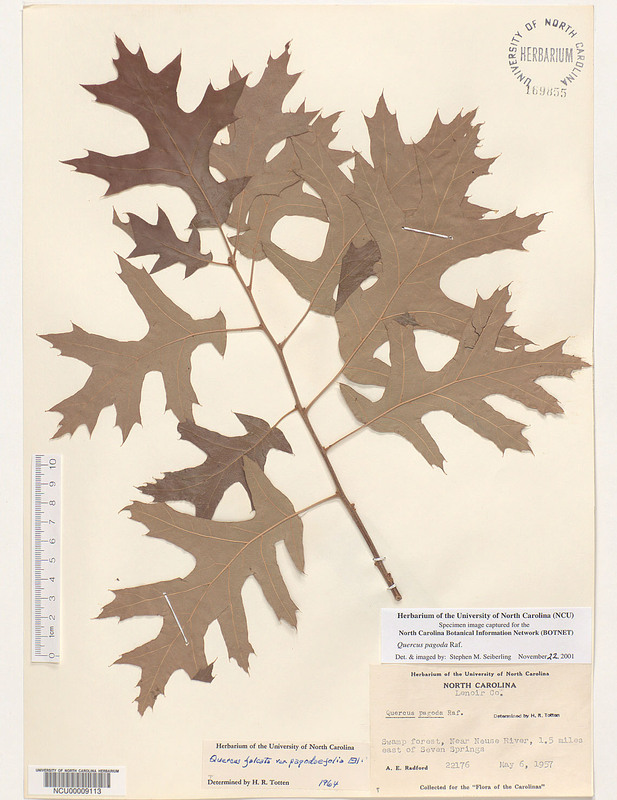 pagodaefolia Elliott, Quercus leucophylla Ashe, Quercus pagodifolia (Elliott) Ashe.